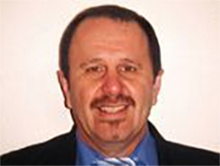 Frank Donatiello is a registered migration agent with the Office of the Migration Agents Registration Authority – OMARA https://www.mara.gov.au/ since 2009. Our philosophy is simple: To make the visa process as seamless and painless as possible during what is often a stressful time for relocating employees and their families. Frank Donatiello has been providing Immigration advice and assistance since 1984. He has an extensive insight into all aspects of Australian Immigration law having managed every operational area of the Department of Immigration and Border Protection since September 1984 across all regional offices within New South Wales. Director of Law Enforcement NSW – NSW Compliance field teams operating out Parramatta; Chatswood; Rockdale; Bankstown and the Sydney CBD Regional Offices; the Character and Visa Cancellations Unit operating out of Bankstown and Parramatta Regional Offices; The Villawood Immigration Detention Centre (VIDC) – Detentions and Removals; Student Compliance operating out of the Rockdale Regional Office; and Investigations and Document examination Unit operating out of the Sydney CBD Regional Office. Director of Compliance operations during the 2000 Sydney Olympic games. As the former Director of the Australian Immigration Investigations and NSW Compliance and Enforcement teams (now known as Border Protection) Frank Donatiello is a leading professional in the complex area of Visa Cancellations, in particular S501 Criminal Cancellation matters and represents clients at the Administrative Appeals Tribunal (AAT). Frank Donatiello holds a Post Graduate Certificate in Migration Law and Practice from the Australian National University (ANU) and has successfully completed the Department of Immigration and Border Protection’s “Executive Leadership program”.